Reflecting the core values of minimalism, GROHE Get brings modern, architectural design to a wider audience. 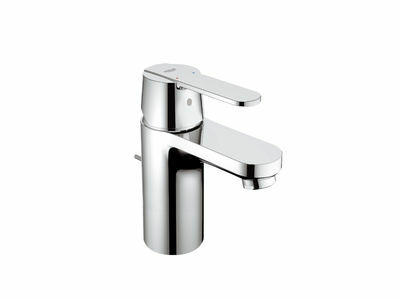 The conical transition from the faucet body to the lever handle conveys a refined form without sacrificing solidity. The lozenge-shaped lever handle – crafted from solid metal – ensures comfortable handling.